Chelsea 1-1 Barcelona – A single punished mistake away from the perfect performance. 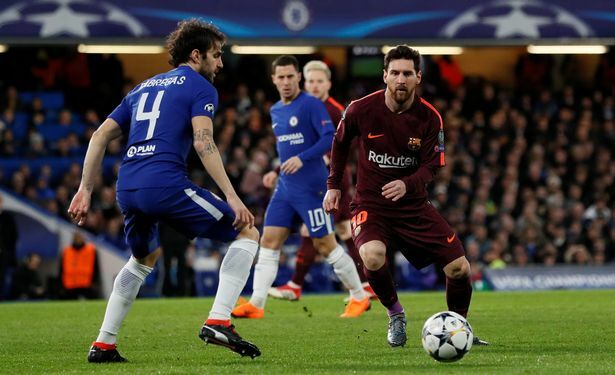 Lionel Messi struck for Barcelona, capitalising on Chelsea’s one and only mistake in the game to cancel out Willian’s opener to give Barcelona the all-important away goal heading into the second leg at the Nou Camp. All of us can’t help but feel disappointed that we have not walked away from the game with a clean sheet and at least a two-goal lead to take to Spain in a few weeks’ time. The fact that Chelsea restricted Barca to a poor header from Paulinho in the first half and the chance gifted to Messi to score gave an indication of just how well Chelsea had played as a collective unit tonight. Antonio Conte surprised me with his team selection ahead of kick-off by naming the false-nine with Eden Hazard playing through the middle supported by Pedro and Willian. Cesc Fabregas partnered N’Golo Kante in midfield with Victor Moses and Marcos Alonso either side. In defence, Cesar Azpilicueta, Andreas Christensen and Toni Rudgier started ahead Thibaut Courtois in goal. Alvaro Morata AND Olivier Giroud were both named on the bench alongside Gary Cahill, Willy Caballero, Danny Drinkwater, Davide Zappacosta and Callum Hudson-Odoi. I made a comment on my Twitter Account shortly after seeing our starting eleven and stated that it was wrong to adopt the false nine as Chelsea are at their best playing with a focal point up front giving our attacking players someone to play from (It’s now up for debate on whether that should be our plan for the second leg in three weeks’ time). Speaking ahead of the game, Eden Hazard and Antonio Conte gave us an indication as how Chelsea were going to approach the game with the tactical plan devised by Conte and his staff. Hazard talked of defending well as a team whilst Conte spoke of the team being prepared to suffer and it was clear when it came to the possession/passing stats, we were going to do exactly that. For all the Barcelona dominance with the ball, they created very little because as soon as they approach the area in front of our back three, the man on the ball was immediately closed down with Fabregas and Kante in particular closing the door at every opportunity. Time and time again Barcelona could not find space and were forced to move the ball wide but created little. Lionel Messi to that point was dropping deeper and deeper to collect the ball which was encouraging. As he did and looked up, there was no one making runs in behind, no one in space and it made life difficult for him and his team mates. To a man, Chelsea worked so hard without the ball, remain in their tight formation and stayed compact. If we pressed high, we made sure that we worked just as hard to drop back into our defensive formation. At times it was like seeing the Chelsea of old which was nice to see. For most of the time, Chelsea could not push themselves up because we gave the ball away too easily or lost possession with made life easy for Barcelona. However, there were times when we managed to string some of our passes together and hit Barca on the counter-attack. By doing so, Chelsea could and should have scored twice before Willian scored half way through the second half. 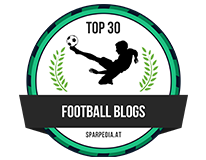 Having won possession of the ball, Chelsea moved the ball quickly into forward areas and looked to hurt Barcelona. 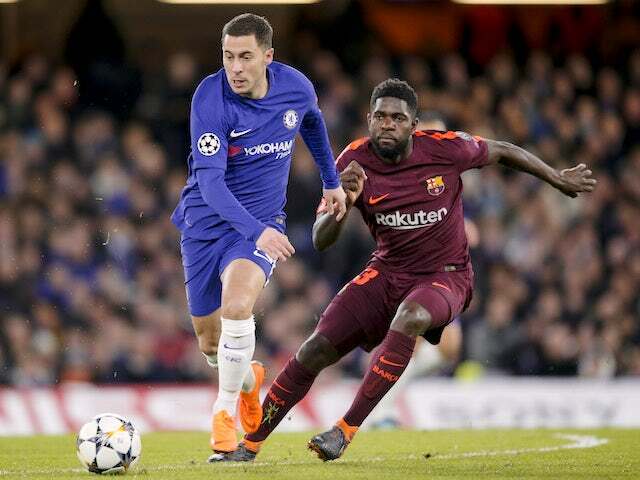 Eden Hazard picked up the ball wide left, played the ball inside to Willian who found himself 25-yards from goal in the middle of the pitch with Sergio Busquets facing up to him. With the quick feet he has, Willian shifted the ball to his right and unleashed a powerful curled effort, identical to that of the goal he scored on Friday night against Hull City but, this time, for the ball to hit the post and rebound away from danger. 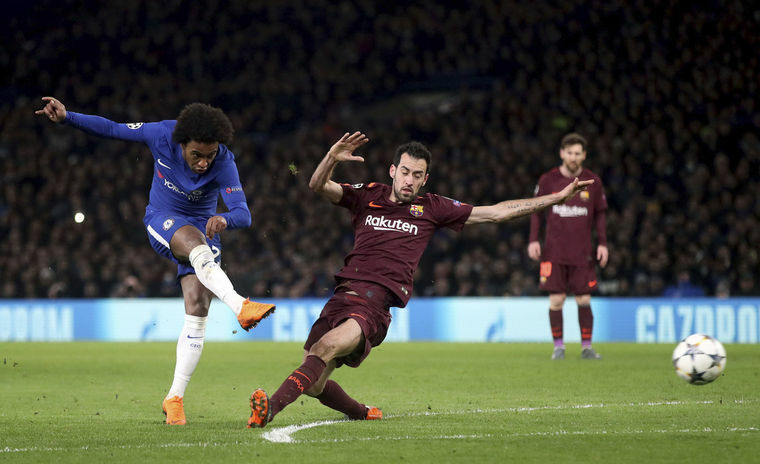 Soon afterwards, Chelsea’s high press on Barcelona won possession of the ball around the Barcelona box and the ball came to the feet of Willian this time dead centre on the edge of the box. Without hesitation the Brazilian unleashed another drive towards goal only to be denied by the other post this time with the goalkeeper beaten for a second time. Thankfully, Willian was given another opportunity to score from Chelsea possession wide left. 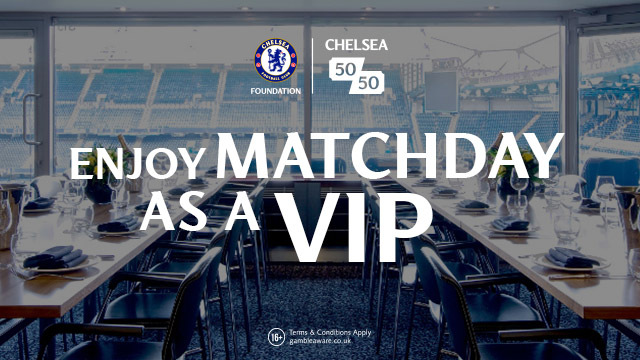 Having drifted out to that side of the pitch in search of the ball, Eden Hazard cut inside towards the centre of the pitch, spotted Willian on the edge of the ball and clipped the ball over to him. Once again, he shifted the ball out from his feet to his right and side and curled his effort around a number of players trying to shut him down, into the bottom right hand corner to give Chelsea a 1-0 lead. 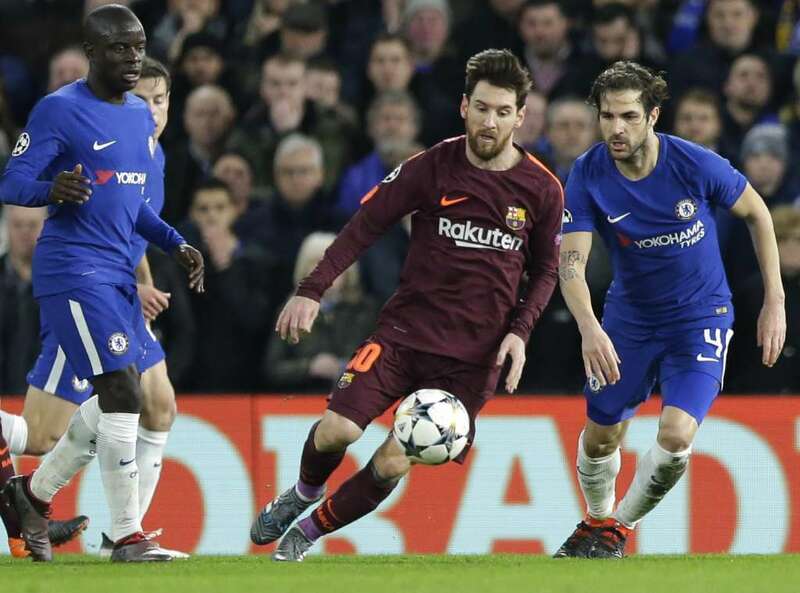 Having worked so hard to deny Barcelona and to gain an advantage, we then made a defensive mistake that gave the visitors and Lionel Messi what he has been looking for – a goal against Chelsea. Dealing with a ball over the top and subsequent dive from the cheat called Luis Suarez, Andreas Christensen finds himself in the left-back position. He plays the ball to Kante who gives it back to him under pressure. Christensen then makes the cardinal sin, he plays the ball across his own box which evades Cesc Fabregas – his intended recipient and Cesar Azpilicueta for Andreas Iniesta to latch onto, look up and pull the ball back into the path of an unmarked Lionel Messi, who with space and time slots the ball passed Courtois into the bottom left-hand corner to make it 1-1. At this level, against this opposition and against someone like Lionel Messi, you will be punished, and Christensen was. He will learn from his mistake and become a better player for it but up to that point, he had been outstanding with the rest of his team mates. Everyone worked so hard without the ball as a team, talking to each other, organising each other as they looked to frustrate Barcelona. For 99% of the game it worked to perfection. Looking back now I have to hold my hands up and admit that the manager got things spot on tonight despite there being frustration at times seeing the ball come straight back again when we looked to play it forward. We created more chances than Barcelona, we hit the post twice, scored and looked dangerous whenever we got into the final third. That’s the encouragement that we MUST take with us to the Nou Camp. 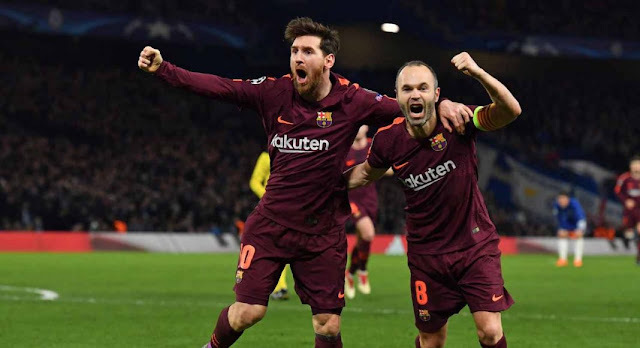 This Barcelona team is beatable, and Chelsea have offered more than enough tonight to show they we can attack their back four to create problems. We know we have to score in the second leg and are more than capable. It was fantastic from Chelsea and almost the perfect team performance but for that one single mistake.